Source: Checked it out the old-fashioned way, my local liburry! Synopsis (from Goodreads): Thirty-five girls came to the palace to compete in the Selection. All but six have been sent home. And only one will get to marry Prince Maxon and be crowned princess of Illea. After making a fantastic mistake and essentially following a boy to a different school (and state) I went to Radford University and switched my major to Music. Then Communication. Then History. Maybe a year into college, I was over theatre (though I still love performing) and decided that what I would really like to do was go on staff with the campus church and just be helpful to students. I settled on History because I could finish it on time after switching so much, and because I liked listening to the stories. Then, those plans were thwarted, too. I met a guy who I kept rejecting but whose heart was set on me. He somehow talked me into moving to Blacksburg, marrying him, and having babies together. I'm still not sure how he did this... well played, Mr. Cass. After that, my main hope was to be a good homemaker and stay at home with our kids when we had them. In 2007, my world was shaken by a local tragedy, and I took it pretty hard. Over the course of the following year, I tried a lot of things to get myself together resulting in me sitting down to write a story where my character had to deal with my problems so I wouldn't have to. The distance from my head to the page helped me step back a bit and cope with all the things I was feeling. I ended up not finishing that story because I woke up from a nap with the idea that would become The Siren and HAD to get that written. After I got into the habit of writing, lots of ideas came, including The Selection and handful of others that are waiting their turn. Once I started writing, I felt like an idiot. How had I not known I loved this all along? Seriously. Dancing, singing, acting, history... it's all just story telling. And I love it. I self-published The Siren in 2009 (while I was five months pregnant) after not having a lot of success querying it but aching to give it to the handful of followers I had. Their support was a lot of what made me want to continue to try and share my stories with people. 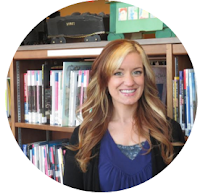 In early 2010 (when my son was just two months old), I started querying The Selection and was lucky enough to find a wonderful agent in Elana Roth. Sometimes I still can't believe she took a chance on me. 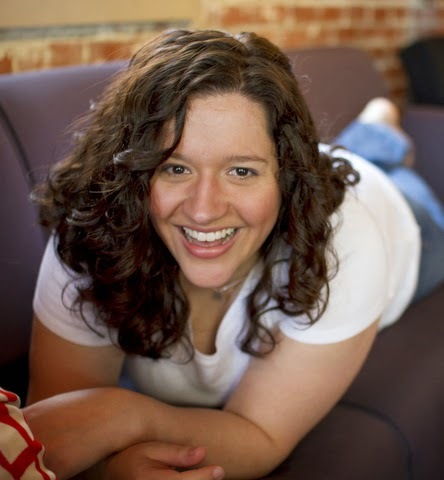 After a few months, Erica Sussman at HarperTeen snapped up The Selection, and it came out in the spring of 2012 (while I was six months pregnant with my daughter). Now I'm a #1 New York Times bestselling author, and I'm thrilled to have the chance to share my stories with the world. I currently live in Christiansburg, VA with my hubby and two kids and spend my free time playing on YouTube and twitter and eating cake. 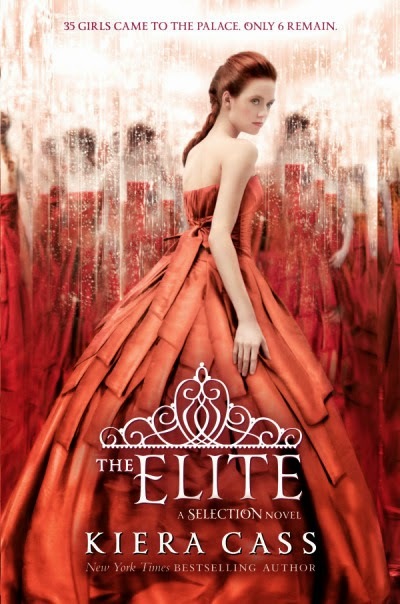 The final book to The Selection is coming out in ONE WEEK, so why not review Elite? Honestly, I hate to love this series (as you may remember from my review of The Selection). I got one of my fellow hairstylists to also read this series, and the hate for our love is mutual. If you haven't read any of the books in this series, it goes a little something like this: if The Hunger Games and The Bachelor had a baby, it would be The Selection. And yes, this was entirely intentional on Kiera Cass's part. As always, the cover is gorgeous as will be the cover for The One. But why, WHY do they keep putting a redhead in a RED DRESS? Being a redhead (and cosmetologist) myself, this drives me insane. This should be frowned upon in society as whole. Same with red lipstick. Red anything. We already have red undertones in our skin, why the french toast bring it out with more red? Okay so this book drove me absolutely insane! Team Maxon? Team Aspen? I felt like I had whiplash the whole time and by the end of the book I seriously couldn't decide who I wanted her to be with. Honestly, America is the best nominee for Queen out of everyone. But Maxon was a complete idiot the majority of this book! And there's just something about Aspen...ugh! This is so exhausting! I don't really have a solid theory, but I have this slight fear that The One is going to come out and America isn't going to choose anyone. Something Kiera Cass posted on her Facebook like a week ago made me wonder. If that happens, I just don't know how I will go on with my life. I am so conflicted! As for the King and Queen...the King needs to start waking up on the right side of the bed. He's just so stinken' cranky. But I love the Queen to pieces. I think she understands America because she reminds her of herself and I totally wouldn't mind snatching her as an in-law. I just got The Guard and The Prince to read, so we'll see if that'll sway me in one direction or the other. Where do you stand? Team Maxon or Team Aspen? One week before we find out who America chooses! !